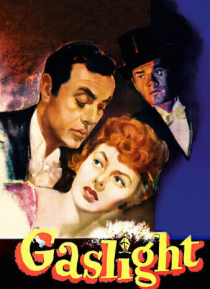 Ingrid Bergman stars as a newlywed unaware that her seemingly charming husband, Charles Boyer, is a crazed murderer. After they move into her family's Victorian mansion, he schemes to drive her insane while he searches for a hidden cache of rubies. Directed by the great George Cukor. With Joseph Cotton and Dame May Whitty.